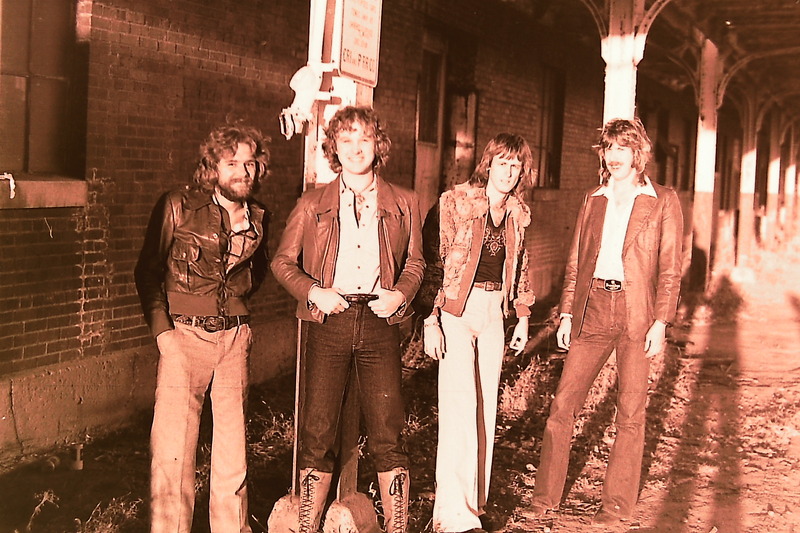 Click on the link above to hear Silver Laughter perform this Electric Light Orchestra song. It was during that part of the set when Ken switched to bass and Mick went to the little electric piano. Jon is playing lead and fills up the space very well by himself. Paul is on drums. Mick is singing lead, and I hear Ken (for sure but maybe Jon too) on the lower octave harmony as I go to falsetto. The photo is one of the few remaining outtakes left from that 1978 photo session with Art behind the camera. His shadow may be seen at the right. It has been mentioned before that sometimes we had to get the lyrics from recording a song from a jukebox if we didn’t own the group’s cassette tape (the most popular medium at the time). So if you have trouble deciphering what the words are, take heart. Most of it is gibberish; words that I made up to sound like what they were singing. The clip was originally posted in WAV format with lots of dead air at the end. In order to make it a bit more professional, I cut both the beginning and end as well as converting it to MP3 to speed up downloads.